Tons of global citizenship ideas for your school. As you work to reach the world, these maps, images, and lesson plans can help you get started. If you want to see what a massive collaboration of elementary students looks like, meet "A week in the life" the Flat Classroom project for kids ages 8-10. Here is a recent wiki. QR Code treasure hunt generator. Classtools.net has long been my favorite place for graphic organizers, easy video game review games, and Fakebook, but now there is a QR Treature hunt generator. It does all the work for you. So cool. Take a look and do a kind of treasure hunt kids will love. Since August 2006 this Media Center has been blogging, sharing links and information. Such useful information here. Sometimes we show by example more than we can say by giving assignments. You can tell students blogging is important but if you don't do it. You can also see how assignment are given on this blog. For teachers and media centers to review who are considering blogging. A challenge toolkit. If you are a gifted and talented or teacher of children who have challenges, there are 50 activities in this powerpoint that can you can adapt to any subject. Tons of resources and lesson plan ideas in this article. The best thing is that every idea is linked to free downloadable items. If you are a parent or homeschooler, you'll have time to use this powerpoint between now and New Year's. This is a lesson about how to design a poster for firework safety. This wiki used at MICDS (a great school in St. Louis where I've been before) is a Lord of the Flies survival game using a wiki. This is a great idea for a lesson plan with collaborative writing as well as understanding the book content. For those who have told me that there is no use for pinterest in schools, here is a common core pinterest curated by Liane Courtney. Most web 2 tools can be useful, it lies in the willingness of users to make them so. Tons of writing prompts for composition teachers. I've found something that is just beautiful here that expresses how I feel about an important cause. yes, education is my primary focus and I'll spend a lot of time helping you teach and use technology well. But a person who teaches should have a heart. My heart will be with those who cannot speak for themselves. Chorus from "I am an abolitionist" taken from this page of hymns that make you ask why. Of nought on earth afraid." January 2012 has been proclaimed National Slavery and Human Trafficking Prevention Month here in the US. If you're teaching students about digital citizenship, perhaps you should start at the site, icanstalku.com. It starts off by explaining meta data and the settings in your cell phone that reveal way too much about where you are located. Here is a great list of ipad teaching ideas and lesson plans across a lot of subjects. If you want to see exactly how a LiveScribe pen works, this is an excellent tutorial video. It isn't super fast but it shows you how it really works from beginning to end. This demo is how to create a pencast. Although some of you may be doing this on your ipad using some of the new apps, the Livescribe pen is a sub $100 pen that is very powerful. If you prefer to take notes you can record everything on the pen. I've had one and really enjoy it. 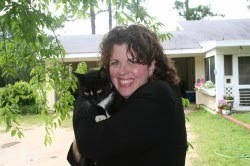 This is a course for Spring Branch ISD which uses a blog as the framework. I also love how 9 hours of professional development is being given for the educators in this course. We need more embedded PD that gives teachers an opportunity to embed their learning in their daily activity. Embedded PD is the key to transformational learning. While there is a time and place for getting away, we have traditionally only used that "away" method when we also need to use the "learn right here" method of delivery as well. Take a look at what Karen is doing here as you evaluate your pd delivery methods. I also have to admit that Spring Woods High school is one that has been an outstanding contributor to Flat Classroom in the past, so I personally know they are walking the walk here. Although not updated for some time, this wiki has been helpful in my wiki research. This shows the advantage of moving the master's thesis research online. It becomes a useful part of scholarly research. This wiki is dedicated to wikis in writing education research. The one thing I'd love to see is eventually that such projects would become legacies where another student could build on what has already been created either through a template or handing it off like a baton, but so much of how academia is set up screams opposition to this. But why should a great wiki like this die when the creator graduates? Very interesting study on the effectiveness of Khan Academy on the scores of low performing students. The study thoerizes that the success is not the videos at all but the problems and rewards system that accompanies the videos which have a gaming feel. Like many, we assumed the videos would be the predominant learning mechanism for students tackling new material. In fact, the students rarely watched the videos. This result is consistent with some of the observations in the Los Altos pilot. The students greatly preferred working through the problem sets to watching the videos." John Seely Brown's PDF on the new learning environments for the 21st century based upon a 2005 presentation he did at the Forum of Higher Education's 2005 Aspen symposium. "As the pace of change in the 21st century continues to increase, the world is becoming more interconnected and complex, and the knowledge economy is craving more intellectual property. In this environment, it is critical that we shift our focus from education to life-long learning." This is a great lead from a thought leader in this area. If you wonder why I'm digging into the research, it is as I work on my second book on collaborative writing. It is amazing to me that I can find so many more things online than I ever could in the Georgia Tech library when I was a research assistant for the then president of the national Economics Association, Dr. Danny Boston. I may not be in an institution of higher learning but I can institute higher learning in my daily practice. I want everything I write for publication to be well grounded. I hope that is why those of you who gift me with your presence on this blog will feel free to let me know in the comments if you have concerns or pointers to other work. This 2004 study on second-language writers determined that although students prefer oral feedback that e-feedback has a greater impact on the revisions process. Online feedback is a valuable tool in the revisions process. The US is not the only country in government educational induced turmoil. Here is an overview of what is happening in England right now. "Make teachers redundant or have them teach subjects they are not trained in - that is the stark choice cash-strapped secondaries will face if national curriculum changes proposed this week are introduced, ministers are being warned. The bleak scenario is predicted by heads’ leaders and teacher recruitment experts if the Government follows the recommendation of its national curriculum review expert panel to make history, geography and modern foreign languages compulsory for all 11 to 16-year-olds from 2014." January is national slavery and human trafficking prevention month. I don't care if this is an unsavory topic to many, there are more human slaves in our world this moment than in the history of this big globe in the sky. Don't criticize the slave owners and people in early US history if you're not willing to speak out now. There are age appropriate ways to broach this topic. Think about how the people of pre civil war times felt when you toss this topic over in your mind. January is National Slavery and Human Trafficking prevention month. Celebrate it well and plan ahead. Yes, there are slaves in this country and you can educate students on how to protect themselves as well as bring awareness to what is happening in other places. I was rereading this old post for some writing I'm doing about filtering and it struck me that although this post was written in 2008 it reads like it was written this morning. I think there are some very valid arguments to share as you discuss content filtering in your school. Overview of the use of efolios in the Expository Writing course at the University of Washington. along with some sample portfolios. Currently the electronic portfolios are optional although having a portfolio is not. "The six TAs who chose to teach with electronic portfolios discovered many advantages to introducing this technology. They found that students learned to write for a wider audience and were able to better connect to the course outcomes by showing a greater variety of examples such as graphics and links to relevant Web pages. The electronic portfolios also simplified some logistics, allowing the instructors to easily show examples of online portfolios and students to review each other's work. " If Amazon, Google, Facebook and other Internet allies turn their home screens black to bring attention to the censorship of SOPA don't be surprised. Right now, SOPA is still favored to pass. time to call congress or email them. This website tells you how. Small projectors, contact lenses with displays built in. Here is where we're going. These things make the "ban cell phone" movement even more preposterous. It is about behavior not banning or blocking as limiting behavior is only going to become harder. Transmitting data via LED lightbulbs tops this list of 8 technologies from mashable. By the way, the beginnings of display contacts is here - although it can only put one pixel on the screen (created by your contact) it is the beginning. Again, we must get at behavior of our students. Because we will move from cell phones to glasses and contacts. We have to focus on helping people learn how to focus on the task at hand and hold them accountable for the work they do instead of playing the role of jailkeeper. Focus may indeed be the most important 21st century skill. ADHD, medicine abuse, and a video to show you what it "feels like" to have ADHD. This post from Huffington is a great one to share with those who don't understand this disorder. There are still so many questions to ask, especially that of if we've somehow become so desk bound that our physical bodies are crying out for more running and moving, but that is for another post. It started with Tim Holt asking "edtech gurus" how to actually do it. How to stimulate change. This is a wonderful post from David Warlick on what he'd actually do. Many of these are great. The tough thing this brings to bear is that unless you can actually do it - it is hard to speak to it. This is why there is room for great practioners who are doing it to share how it works and what the results are. The tough thing is that in the real world, it is rarely simple and interpersonal dynamics often get in the way. The book I'd recommend is Kerry Patterson's the Influencer on this topic. "My wish list for Education in 2012 is centered around the belief that it is time to try “new things in new ways”. It is time to look for “Next Practices” instead of “Best Practices”. It’s time to put ideas that are unproven into practice, learn from our failures, and celebrate our successes. Here is my wish list:"
Educating for Global Competence: Preparing Our Youth to Engage the World. written by Veronica Boix Mansilla and Anthony Jackson is now available for free here. 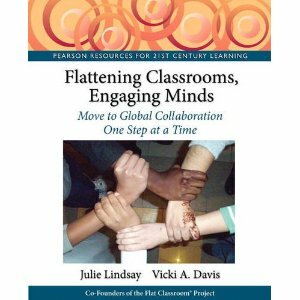 This is a great resource for educators who want to incorporate Global Competence into their classrooms and schools. The asia society would like you to submit student work relating to global competence now. Please share. There are also a lot of great links explaining this concept on this page. You can also download their free book: educating for global competence. Harvard's components of global competence. How high performing nations teach global skills. This teacher asks for students to donate to a charity if they really must give a gift. Great ideas. "You don't need a new plan for next year. You need a commitment." Want to get more out of your classroom: make the commitment first then start making the plan. This is called "owning" your goal in Franklin Covey-speak. Printed books from wiki content? This website allows you to custom combined a variety of wiki articles from wikipedia or your favorite wiki. This would be an option if your students create a wiki and you'd like to convert it to a book easily. I'm also wondering if you could print it to a PDF as well. (Or you could do it yourself, but this is more of a professional book. A Microsoft One Note teaching guide for One Note 2010. I use this to write my computer science textbook for my students. Nice overview of exercises and activities for prewriting. Free lesson plans that you can filter by age and how many class periods that you have teach as well as the topics. This is by Microsoft so it is using Microsoft projects. This is perfect for those of you who want cool lessons but are restricted from using a lot of the web 2 tools. This person uses Google forms to collect sensitive student application data and didn't realize when she checked "share responses" that it would mean that the students could see what the other student's said. If you are a teacher using Google forms in the classroom, realize that you never check the box that says share answers when creating the form. What you do is share the spreadsheet behind the form to those who want to see the data. If you're going to use Google Docs, make sure you train your staff or this could be you. Also teach your students who are using forms as well. DEN Educator Carolyn Stanley shares how she's using Splashtop to stream Discovery Streaming to her ipad and the other uses that she's finding. This is something that teachers using ipads need to know about and test in their classrooms. If you look at evernote for your school, you can have an evernote sponsored group. Here is the information on this. However, with the basic evernote being free, unless you want to share notebooks, etc. you may decide just to let everyone have the free account. Skitch for the Ipad is here. This whiteboard drawing, mind mapping ipad tool saves to evernote. If you love evernote, this is a must download tool. This blog gives ideas for how students can use evernote for research and collection of notes. An online collaboration whiteboard. You can use it for free. Try using this for mindmapping and brainstorming between teams. She recommends the Pass the Past App, one developed to help students in Virginia master social studies including economics, geography, world history and Virginia history. It is going to be interesting to see how many states start releasing apps in lieu of textbook money. She also recommends TapQuiz Maps to let users practice locating countries. Interestingly, Microsoft will not provide services (according to this forum post I did in my research) to kids under 13. Additional parental approval is required to access some services. This doesn't like quite as smooth as perhaps Google's offering is. Microsoft Windows Live @ Edu facts, cost, information. How this is working. It is interesting to me that the way this is written demonstrates how people don't seem to trust Microsoft. You can also give accounts to alumni and parents, however, all over 18 receive advertising. (Password protected page.) If you have dropbox and invite someone with a .edu account and they join dropbox, you get 1GB per person! It is a great service. You have to log into dropbox to get to this page. A comparison of Skydrive and iCloud side by side. There's Google apps, Skydrive, and iCloud as the big three of online cloud-based word processing and since we do so much writing in schools, it is likely that your school would select one of the three. If you haven't selected any, then you have a big problem unless you've got a masterful way of syncing locally. This is how we work in the 21st century and it is time to get with the program. Microsoft gives all SkyDrive users 25GB of free storage space. That’s a whole lot of bang for absolutely no bucks. Microsoft Skydrive has come to the ipad. If you're using Office and their Skydrive service to share your files with students, this is the option for you. It also added PDF support to Skydrive as well. Remember that if you use onenote that it now has a fully supported iPad app, whereas Skydrive is not "optimized" for the ipad, it is a start. As of December, Google+ is integrated with gmail if you have enabled the service. Remember that Google+ is only for people 18 and up. Free Google Apps training center. This will take you through the tools that are part of Google apps for education. Share this with your teachers and students. On a note, does this mean that nonprofits who spend all their time sidling up to the arrogant are wasting their time? I don’t know and certainly “judging” people as to whether they are arrogant or humble is risky business. Sometimes I’ve thought a person was arrogant only to later find that they were really an introvert or nervous around large crowds of people. In most cases, a person’s decision to help someone in need is influenced by temporary factors, such as time pressure, number of bystanders, momentary feelings of empathy, or a person’s own distress, added Wade Rowatt, Ph.D., associate professor of psychology and neuroscience at Baylor University, who led the study and co-authored the article. IF you follow news such as this, here are the RSS feeds from this robust site. I find my RSS reader is an important tool in my PLN and have spent some time cleaning up and adding blogs to my RSS reader. This powerful article is one every research should read. Because researchers care more about being popular and hitting the media (which rightfully unleashes research dollars) they are producing shorter papers on studies with a much smaller sample size. This review at Psych Central of a new research paper studying the study-ers has profound implications. The fact is that researchers need more citations so they are giving people what they want to hear. We need to evolve so that scholarly research has a place but that excellence in research is upheld. We also need researcher-leaders like Stephen Downes to help us see when certain things don't measure up. "They define “bite-size science” as research papers based on one or a few studies and small samples. "New research has discovered that people with schizophrenia have certain brain cells where their DNA stays too tightly wound. When DNA is too tightly wound, it can stop other genes from expressing themselves in their normal pattern." Want to keep your brain young, exercise your body! This is a great story of a basketball team of older grandmothers who don't know how to lose. The women love it and they don't look like grandmothers. Why do we just have athletic leagues for the young? Perhaps athletic leagues are the fountain of youth...and the liquid of longer life is sweat. "But when Wright studied very active seniors, she found exercise seemed to be protective.' These MRI images show how fat can infiltrate the muscles of a sedentary senior. Compare that a MRI from a 74-year-old tri-athelete, which looks very similar to one from a 40-year-old. "We are not destined to go from lean flank steak in our 40s," said Wright. "if you think visually of what our muscles look like, to flabby rump roast. We do not have to become that way if we interject exercise throughout a lifetime. It's an important 'if.' Regular, consistent and challenging exercise is key. The Tigerettes work out strenuously, four to five times a week. Understanding memory loss. Mini, small strokes may be the "silent" link. The test used MRI's on dementia free adults. "Strokes so tiny they are termed ''silent'' may be linked to memory loss in older adults. Previously, experts thought that memory loss among older adults was caused by deterioration in the hippocampus, the part of the brain involved in memory and other functions. Although that is still true, study researcher Adam Brickman, PhD, says his new research adds another possible cause to the list. "What our study suggests is, even when we account for the decline in memory attributed to hippocampal shrinkage or degeneration, that strokes ... play an additional role in the memory decline," Brickman says." Why great people never stop learning. This short, thought provoking post points out why we must keep learning. I particularly like the first three paragraphs. One note that I put in comments (awaiting moderation) is that we can learn from the people we meet on Twitter and through blogs. This is the catalog of books from Pedia press. While some editors are wikipedians, it is interesting to me how one of the top books is American Warplanes of WWII that has one editor. It looks like you can take it and pull from wikipedia and then edit. This is very interesting. While it is not new news about pediapress, when it first came out we didn't have such examples to review. Current application dates for Flat Classroom projects. I'll be running NetGenEd and co-planning Eracism with Julie as well as work with the book club starting in February. APPLY NOW! to become a Flat Classroom® Certified Teacher. Courses will run starting in September and November 2011, as well as March 2012. Dan Pink's predictions for 2012, bound to have some people talking. Dan Pink predicted that next year's hot technology item is going to be the Lytro camera. It captures everything and lets you focus afterwards. It looks very cool but it is one of those things I need to see to understand. Anyone using one yet? Recipients of 2011 Global Forum Educator Awards Announced: Evening event hosted by Microsoft Partners in Learning recognizes 18 educators around the world for their innovative uses of technology in the classroom. Great announcement about the winners of Microsoft's Global Educator Awards program. As a judge for the US competition, the coding guide is an amazing piece of research-based evaluation of teaching methods that should be shared. Unfortunately, this awards announcement has NO hyperlinks. It always makes me upset when teachers are recognized without Twitter handles, links to their efolios. If we want to disseminate best practice, it should be done using the web. Static press releases, especially for something like this, are a waste of space. now, I have to search for all of these things. A new movie "the American teacher" is coming out and Microsoft is coordinating the community screening of this film based upon the New York Times Best Seller "Teachers Have it Easy: The Big Sacrifices and Small Salaries of America's Teachers" produced by Vanessa Roth and narrated by Matt Damon. This website lets you order the DVD or volunteer to host a screening. I cannot find a release date on the site. I hope it is balanced. Teachers aren't perfect but it is not ok how teachers are being treated. Unfortunately, very few people are talking about just teachers -- it seems to be focused on union vs. anti union at this point in politics with teachers caught in between. This is the Microsoft Research so.cl website (pronounced social) that is being tested in a few universities. I find it incredibly interesting that students sign in using Facebook instead of Windows Live ID, the preferred sign in for other services. For those comparing the FTC's stand against Facebook with Google Buzz, here is the Forbes article on the April 2011 Google Buzz settlement. We will have our Digiteen students looking at this material as they discuss privacy. New Google+ service Find My Face lets you opt in to photo tagging. For information on this service and how Google is trying not to repeat some of the "mistakes" of Facebook. However, some would argue that mistakes of Facebook have also been what made it wildly popular. It seems harmless but sometimes just commenting on Facebook in the normal course of business causes problems. Now that every person on Facebook literally has a fan page (people can follow you without you having a fanpage) you are going to see this happen more often. If you really want to share with your friends, this certainly gives rise to websites like Path that only let you friend up to 150 people and keep things very private. Public officials may be left with no other option. Show me a person who doesn't say something politically incorrect and I'll show you someone in the graveyard. We all mess up. Keep in mind that specific products may have additional age requirements. For instance, Google+ requires users to be 18 or older." I'm seeing more information about children activating G+ accounts and putting in an age that is "too young" to have an account (under 18.) Here are the instructions for reactivating an account (which involve a credit card charge that is then removed.) As more kids move to G+ this will be a problem. I told my students to stay away from G+. Of course, having them on Google apps for domains helps you on this as the terms of service are between the school and Google and with parent permission, you are accepting the terms of behalf of the students. Give up accuracy and go for convenience? Wish your birthday or Christmas was on the same way every year? Researchers at Johns Hopkins think we need a new calendar. What do you think? Fascinating read from a professor about the response of his graduate students when they all received ipads. Some felt that by carrying them they came across as elitist. Perhaps it is because so many people want them and they are still very expensive. Very interesting read. British government is studying how effectively private and alternative suppliers provide higher education services. As educators prime for the upheaval to learning that is already upon us, institutions of higher education are being eyed as places for potential cost savings and to determine if education can be delivered more effectively in other ways. They also looked at some US studies as they prepare this study. New project started by 2 MIT students.Twine seeks to help you easily access your home remotely. The small bar-of-soap looking object monitors the temperature and movement of the device usinga simple app called spool. Increasingly computing is about intertwining with our lives. I'm going to draw another conclusion here that may bother some of you. As we increasingly use our smart phones to control our homes, let people in the door, monitor things,are we causing danger and/or damage by denying students the right to access their phone, say, for example, if the house says it is on fire and mom and dad are out of town. I think we're going to have to coexist with cellular and smart phone technologies. It is inevitable but it is also about behavior. A child wouldn't have 1,000 emergencies in a day ( a text message isn't an emergency) but may have one that becomes a big deal and a big liability. If you like controversies between leading thinkers, you'll want to read wired.com's overview of the verbal jousting between Clay Shirky and Malcom Gladwell over the importance of social media in social uprisings. I think this author has a very neutral perspective that is valuable for evaluating this discussion between two very influential people. The thing I find odd is that Gladwell in his book Outliers talks about the importance of "mavens" and their influence. Surely, mavens online can have more influence than ever before. I'm not sure how he can forget his own work in Outliers as he puts down the importance of social media in politics. T-shirt transistors. Wearable computing is very close. I doubt it will look like it does on the fantastic model in this post, but there are uses we cannot imagine as of yet. It would be fun to have students read this and invent the future of wearable computing. Or you could do this as a writing assignment and have them write about it. Why Hasn't Google Responded to Death Threats on Google+? Big controversy running through Google plus. Because controversial photographer Brandon Campeaux had over a quarter of a million followers, they are connected to just about everyone. He left Google+ in a huff and deleted his account when he says Google refused to respond to death threats against him. Word is,some of the people he asked to help him "are on vacation." On another note, once a Google+ post is reshared, you can no longer delete it. This is perhaps a very interesting case study for whether Google+ is ready to grow. By the way, Myspace still has more active users than Google+. A Twitter party talking about the 21st century workforce online January 5, 2012 from 8-9 pm EST. The hashtag is #edworld for this event. So, you already have your favorite hashtag? I find this a way to find and meet new people. 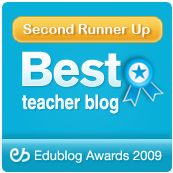 Watch some inspirational videos on technology with the Flat Classroom 11-3 awards. Scroll down to see the winning first, second, and third place videos. We had more than 200 videos submitted this time. Open education resources in Brazil and where it is now. This link is to Stephen Downes' overview of the work.